Last week, the media was awash with reports that the Kenyan Parliament was to debate regulations on Safaricom’s dominance. The regulations to be introduced in Parliament next week are according to the Ministry of ICT set to ensure that smaller players have room in the market. The clarion call for the regulation has been championed by Bharti Airtel, which is the second largest player in the Kenyan market. Safaricom controls 67.4 per cent of Kenya’s telecoms market, followed by Airtel Kenya has controls 22.6 per cent of the market while Orange has 10 per cent. Once effected, the Communication Authority of Kenya will have powers to declare any firm with more than 50% of the market as the dominant player. In addition, the CA will have the mandate to control Safaricom’s tariff prices. 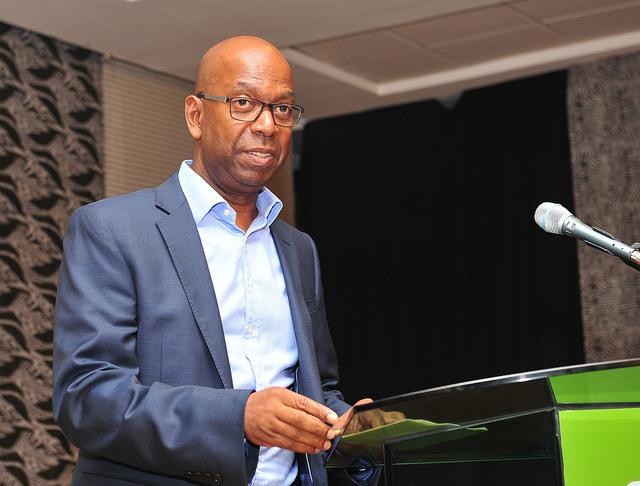 Through its CEO Bob Collymore, Safaricom said it had rightfully earned its position in the market through innovation and continued investment in network infrastructure. Collymore also hit out at the Airtel for perennially seeking government interventions as it seeks to breakeven in the market instead of innovating. “They initially sort mobile number portability, it failed to have the desired effect. They then sort mobile termination rates which, led to a bitter price war ultimately forcing one player to shut down operations. They asked for the opening up of our M-pesa agency network to other players, still no effect”, he added. Mr Collymore also hit out at the rivals for seeking to profit in the local market while not making any investments. He highlighted Airtel’s outsourcing of customer care operations instead of creating local jobs as well as slowness in response to consumer needs. ” The competition is trying to distort a free market, while in fact, they should be taking advantage of it” he added. Safaricom also insists the CA’s quest to control its tariffs goes against the ICT policy which removes any price controls. The firm was also quick to highlight its achievements in the local market such as being the largest tax payer to the government. The company also highlighted its deep insight and knowledge of the market has propelled it to the top position, besides being a local company. The company has also invested Kshs. 1.8 Billion in communities through corporate social responsibility projects. Global best practices demand a review of an industry to determine if there are high barriers of entry, if the dominant position is expected to persist indefinitely and whether the dominant player is abusing the power that comes with the position. If Safaricom took the risks to create a new market, I think they should enjoy dominance to recover invested money unlike other players who wait to see if something will succeed then jump into the market to try to win over the hard work one player has done without investing even a cent in the market. ;-D. Airtel’s only motive in the market is to do what Safaricom is doing at a cheaper price. They don’t know anything called innovation.